Research points calculator & train efficiency calculator. Scroll down for Sheldon's introduction! From the same site, you will also find Rail Nation Dictionary, all goods and much more! 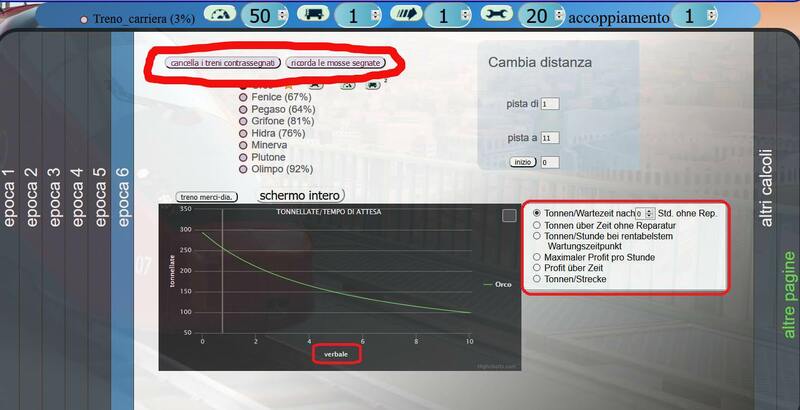 researchpoints-calculator : as first you can select if you are a "plus member" or not, then the server speed then the trains, you would like to research, of an era, and you will see how many points you will need , and how high your laboratory should be .. Very useful graphs on the research path. Also very helpful with determinng which Career upgrade will get you the most out of your points. I'm sorry I did not notice that the english version was not running proper ..
maybe Samisu can help me. Thanks for that tool @Sheldon ʕ•́ᴥ•̀ʔ, I loved it the first time around, and I'm sure I'll spend some time using it again with the new trains. I posted it under "tutorials", I hope you will go and talk a bit about it so that people can thank you directly there ! and programing it i did not think to translate it thats why it now can make some problems .. but i m after to repair them. If you need help with other locales, I can help you with Italian. i can first translate it to italian with google and you tell me after, whats wrong , if there are italian people using such a page why not ..
but it will take some days till I translated it to italian, i ll send you a message then if its ok ? Stubaski i translated the page to italian ..
so if you still want to help end me a message with the changes , its all done by google so there could be some wrong words ..
ah yeah i could not find the names of the new passenger trains .. so i kept the french names .. I'm working like a lunatic, give me a couple of days and I'll go through the site and will double check the train names for you. Good job mate, seriously impressed! 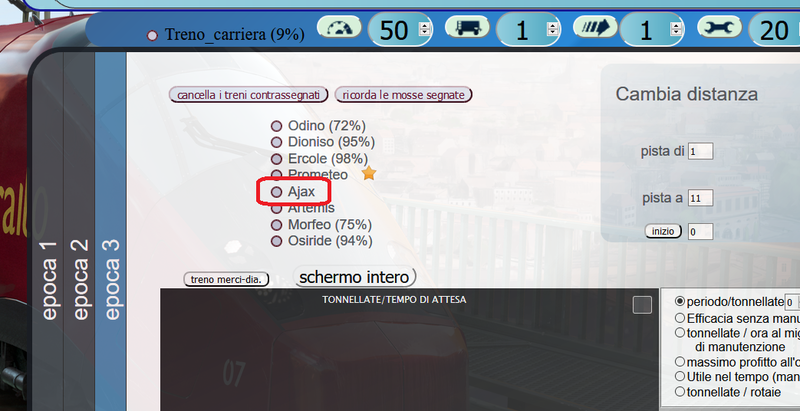 like i wrote the names fpr the new passenger trains i could noto find think there is no italian server with them .. The post was edited 1 time, last by Sheldon ʕ•́ᴥ•̀ʔ ( Oct 23rd 2018 ). Will have some time tomorrow in between jobs, will give it a good pass, in the while, many thanks to Stregatta for the train names. The post was edited 1 time, last by Sheldon ʕ•́ᴥ•̀ʔ ( Oct 25th 2018 ). This should be it, I'll give it another look if I manage to catch some sleep. EDIT2: i forgot to say, that its know possible to describe the train schedules with pictures of goods , i think no one uses it but it was fun to build it into the site .. The post was edited 2 times, last by Sheldon ʕ•́ᴥ•̀ʔ ( Oct 30th 2018 ). I'll review the changes in the next couple of days and find where is the more appropriate place to post it. Click the red marked buttons and you can set up your schedule's name to pictures ..
ehm its not the best layout .. but i ll change it the next days to fit on smaller screens .. . I thought you couldn't post links to non travian sites. Or was that only on ingame forums. My chair just got banned because he posted a link to a site that he designed for endgame coordination. Which makes it a fan site.